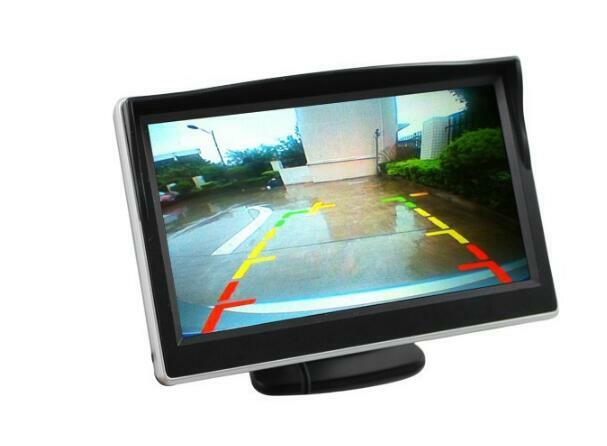 Successfully Added 5Inch Rearview Mirror Monitor - Button Control, 4:3 Ratio, 480x272 to your Shopping Cart. 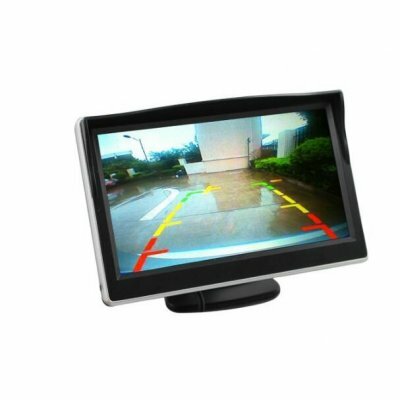 5 Inch Rearview Mirror Monitor with Touch Button Control, a 4:3 Ratio and 480x272 resolution is the perfect extra set of eyes to have as you reverse your car. This clip is more than 4.3inches on the polarizing surface reflecting an ordinary rearview mirror image, but it has a bonus to display the image of your rear view camera, if you turn your car back or just decide to use the button to open the display. The 480X44 resolution provides a clear picture, so you can see what happened on the 5 inch display. Notice the 4:3 aspect ratio displayed on the 5 inch rearview mirror monitor. Back up in style with this4.3 inch car rearview LCD monitor. This product is in stock and can be dispatched within 24 hours of ordering with a 12 month warranty. Brought to you by the leaders in wholesale electronics and car DVD players, Chinavasion. Video: reversing rear view input all the way, DVD video input all the way. can connect the reverse system. When reversing, the display signal will be automatically awakened, and the image behind the display car will automatically turn off, and more humanized. in the menu can be adjusted: contrast, brightness, chroma, mode (16:9/4:3) and so on. Is this mirror a real mirror or is it just an LCD screen to view what the camera is seeing? The "mirror" is actually a polarized smoke colored TFT LCD screen that reflects images when the video screen is not turned on. So it does work like a mirror, but the reflected images are darker and less sharp than a normal mirror.